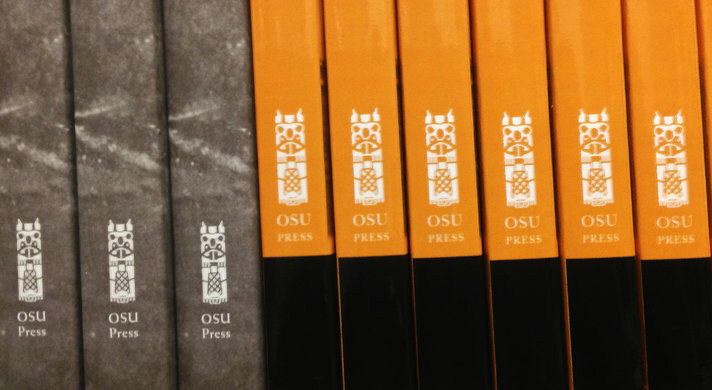 Donors make it possible for OSU Libraries and Press to accomplish great things. 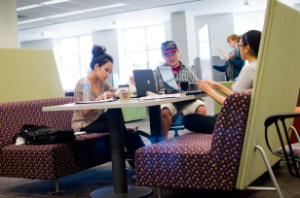 Thanks to donor support, we can provide top-of-the-line resources and facilities for students and faculty. Thanks to donors, we can offer endowed positions and internships to attract the best possible candidates as faculty members and staff. Here are just a few of the many success stories that are all thanks to our very passionate supporters. In the early 1930s, Mary McDonald donated a rare book collection to the Oregon State University library. After donating a number of rare and unique volumes each year, McDonald also donated funds in 1934 to construct a reading room in the library to house her collection. Since then, the collection has grown significantly through gifts and purchases. The collection spans the whole history of text and book production, from ancient cuneiform tablets (circa 3000 BCE), to illuminated manuscripts, to incunabula, to modern artists' books. The McDonald Collection serves faculty and students every year, supporting research and teaching in art, classics, religion, literature, world history, travel and the history of science. The John and Shirley Byrne Fund for Books on Nature and the Environment provides generous support that helps make the publication of Oregon State University Press books possible. A generous private donation allows OSU Libraries and Press to offer a number of paid undergraduate research opportunities. Jessie Leach, an undergraduate in the Ethnic Studies program, created a dual language (English and Spanish) online exhibit of the Colegio César Chávez Collection in summer 2013. Jessie worked closely with Natalia Fernández, Oregon Multicultural Librarian and assistant professor at OSU Libraries and Press. A generous estate gift has enabled OSU Libraries and Press to endow the Library Undergraduate Research Awards (LURA). These awards recognize outstanding research, scholarship and originality in writing a paper or completing a project. Each year, the winning students receive a $1,000 scholarship. The endowment for the awards was created from funds provided by the estate of Gilbert and Marie Cleasby. Marie, a 1952 OSU graduate, majored in Home Economics and was a member of the Delta Delta Delta sorority. She also was a member of the college chorus during her freshman year. She later became a master gardener. Gilbert W. Cleasby, M.D., was a well-respected ophthalmologist in the San Francisco area.